An ancient subject in art, angels offer a glimpse into another, more radiant realm. Throughout the ages, what angels look like and whether they can be seen at all has been the topic of religious and secular debate. Artists have endeavored to make the unseen visible and have painted angel portraits, cherubs, hosts of angels, and guardian angels. Cherubs are somewhat more accessible than angels, rather less profound and more playfully depicted in art as charming and sometimes mischievous baby angels. 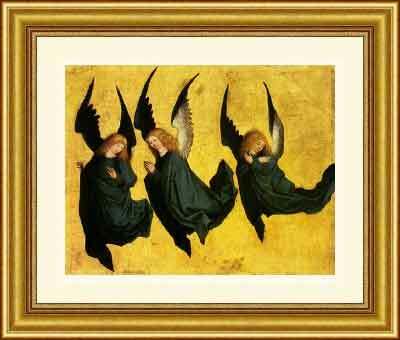 Framed angels art prints add an uplifting sense of comfort and beauty to your home. View our entire collection of Angels art.